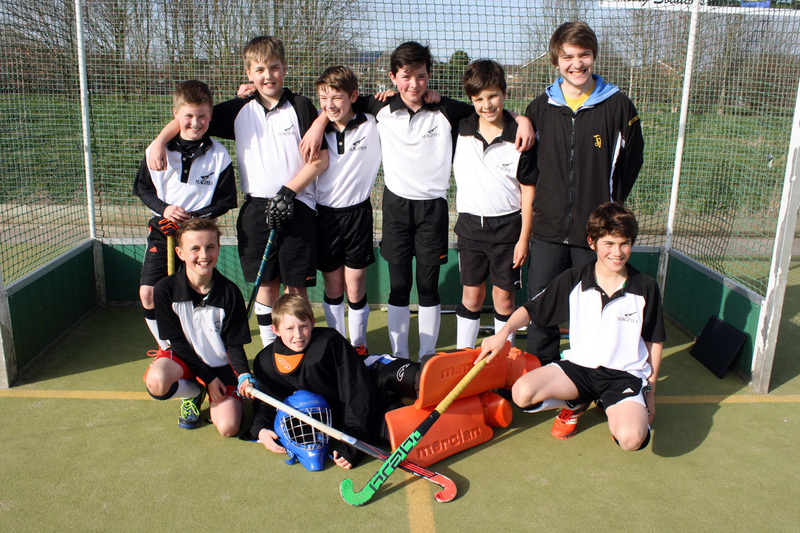 In glorious Norfolk sunshine the Under 12 Norfolk tournament got underway. 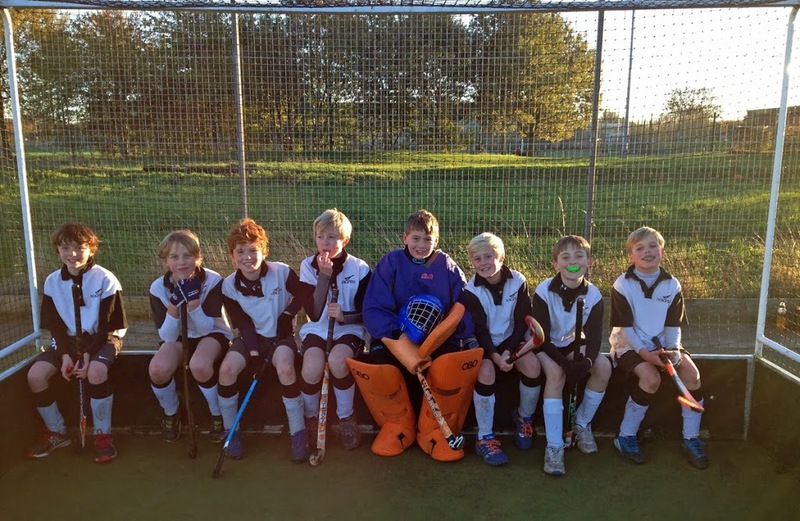 Magpies had taken a squad of nine, all determined to show what they could do. 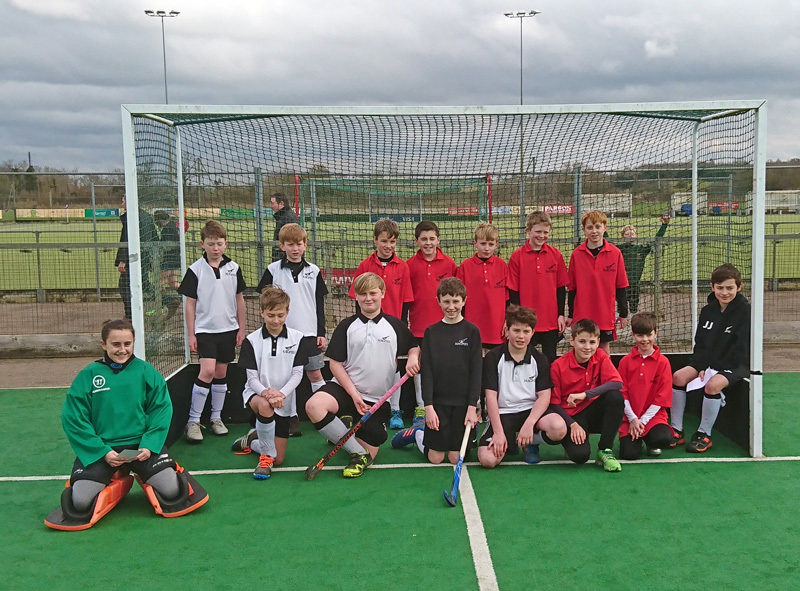 First fixture was against North Norfolk, and with both teams looking to get into their stride it proved a frustrating game for both coaches with no goals to show for the first match exuberance, largely thanks to Archie K who put in a good performance in defence. Two minutes after this game it was straight into a match with Norwich Dragons and whilst playing much better attacking hockey the game opened up and it was up to the centre back of pairing Harry S and Benjamin B to defend resolutely, and on the odd occasion when they were beaten the exceptional Oli F came to the rescue in goal. 2 games 2 draws and no goals. However, goals would come in the next match as twice Henry B found the Pelicans net in what was the best performance of the day. With Will M leading the forward line superbly and captain Billy F looking dangerous the defenders and goalie had a well-earned rest. 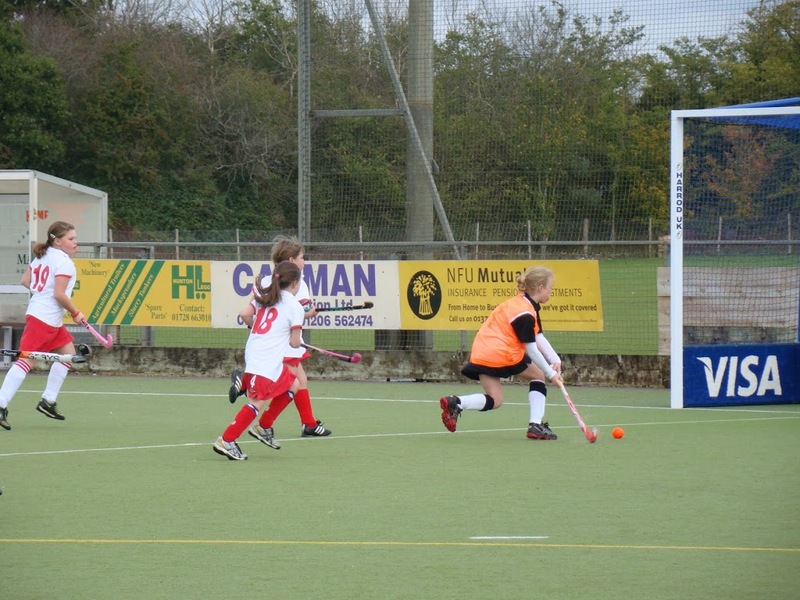 The penultimate game was against Norwich City who had been the strongest team on the under 12’s circuit this season. A slow start by Magpies allowed City to score the first goal against them but with Harry and Benjamin again defending hard and Oli performing brilliantly in goal, gradually they got back into the game and with Connor H & Finn H working tirelessly in midfield the chance came when a short corner was secured and Henry beat the keeper with a great strike from the top of the circle. And so it came down to the last game against Dereham. Two unbeaten sides knowing a win for either could result in them being crowned county Champions. Having watched Dereham demolish Dragons 3-0 in the previous round of matches Magpies knew it would be hard, and needing to win the team were instructed to get forward. The game ebbed and flowed but after 5 minutes Dereham were just starting to get in the ascendancy and when the pressure eventually told they deserved their lead. With goals required the Magpies team dug deep and kept going right to the end threating all the time but not quite getting the bounce of the ball in the opposition circle. So it ended in defeat and with other results going against them a fourth place finish. But with only one loss, and that to the Champions, it was a fantastic show by everyone. So well done Dereham and Dragons who also qualified, and we can look forward to next year when half of the team will still be available, no doubt to challenge again. 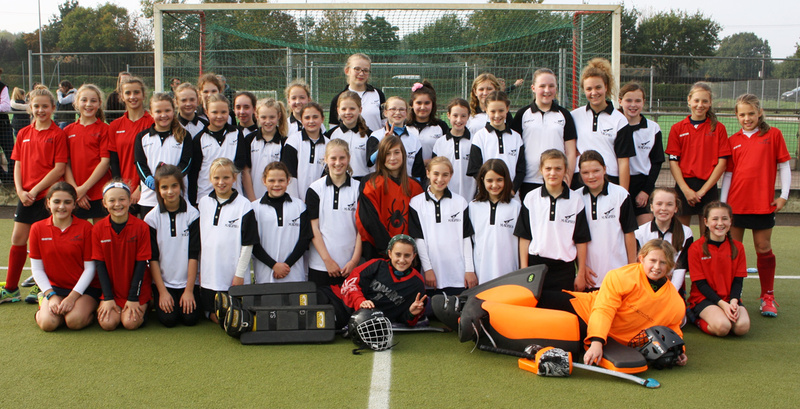 With much excitement Magpies’ U12s set off to the Nottingham Hockey Centre bright and early to pit their skills against the country’s best U12s. With confidence high after the team’s East triumph and some successful additional training sessions nerves began, both on and off the pitch, to show when the whistle went for the first match. On a lively pitch Stourport’s direct hockey style caught Magpies napping and despite having good periods of possession Stourport forced the ball past the Magpies defence to score twice before half time. Oli Mayhew nearly pulled goal back but a fine save from the Stourport keeper kept Magpies at bay and soon after Magpies were very unlucky not to be awarded a penalty flick when a Stourport defender’s stick tackle prevented a certain goal. The second half saw Magpies turn on the pressure and deservedly get a goal when Oli Currie popped an early ball through to Oli Mayhew who rounded the keeper to set up a tense last few minutes. However with the seconds ticking away an equaliser just could not be found. Following a debrief and a round of biscuits from the Herschel-Shorlands the team set about the task of beating Cheltenham, the West champions. In the first few minutes it became apparent what a challenging day it was going to be against a disciplined and organised team playing some flowing hockey. Magpies were getting overrun and disappointing as it may have been for the team Cheltenham deservedly took the lead and added a second before half time. However at 2 – 0 down Magpies fought back but could not collectively find a way round the Cheltenham defence. Another debrief and this time a round of sausage rolls from the Brice family inspired the team and against Brooklands, the North Champions, Magpies looked a real threat but despite four short corners in the first half they couldn’t find the net and to rub salt into the wounds against the run of play Brooklands scored just before the break and then added a second after half time. With energy levels at a low level it was time for cheesy chips, a round of Magpies themed cup cakes and the official team photo shoot. None of this could hide the fact that Magpies were about to take on the strongest team in their group, Surbiton, and despite the hard work of all in the team Surbiton were just two strong turning a 1-0 lead at half time into a 4- 0 win. 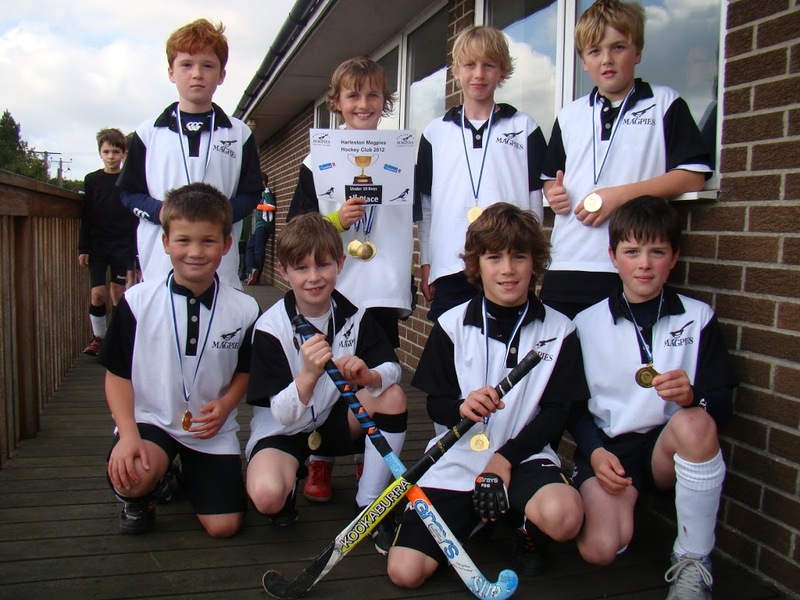 The strength of Surbiton’s youth section shows that despite the giant steps forward Magpies have made with their boys hockey this year there is still a lot more work to be done. At this point we reminded ourselves that some of the team only started playing at the club at the start of the season after taking part in last summer’s taster sessions, a real success story for our coaches Matt Brand, Blake Elliot and, of course, Richard Larkin and their assistants. The above results meant a 9th and 10th placing game to end the day for the team, interestingly against the East runners-up Old Loughtonians. Again Old Loughts took the lead and again just before the final whistle Magpies struck the perfect short corner but Old Loughts were prepared this time and the defender on the line deflected the ball wide of the post. The team of Archbishop Sancroft (3), Thomas Mills (2), Pulham Primary, Hartismere, St Felix, Langley and Brandeston pupils did the club proud and although I am sure that personally they will all be a bit disappointed with the results over the day they all showed a lot of promise and character and after a summer of relaxation will come back stronger as a result of this experience. Finally, thanks must go to Mark Emms for his management of the team over the season, Dan Mayhew for his first aid prowess on the side lines…..no one dared get injured and, of course, Richard Larkin team coach and Mr Motivator. 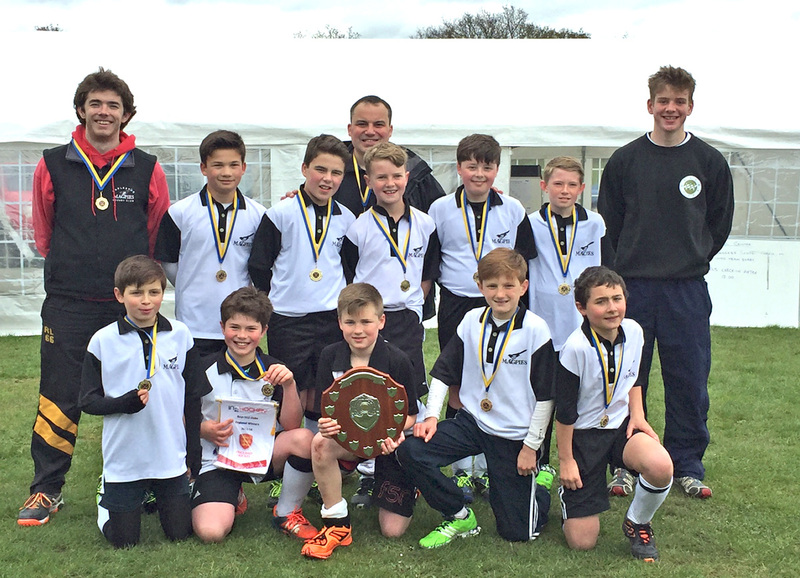 On a cloudy wet morning Magpies U12’s boys started the day knowing they were carrying the title of ‘underdogs’ in a challenging half of the draw including Cambridge, St Albans, IES and Old Loughtonians. 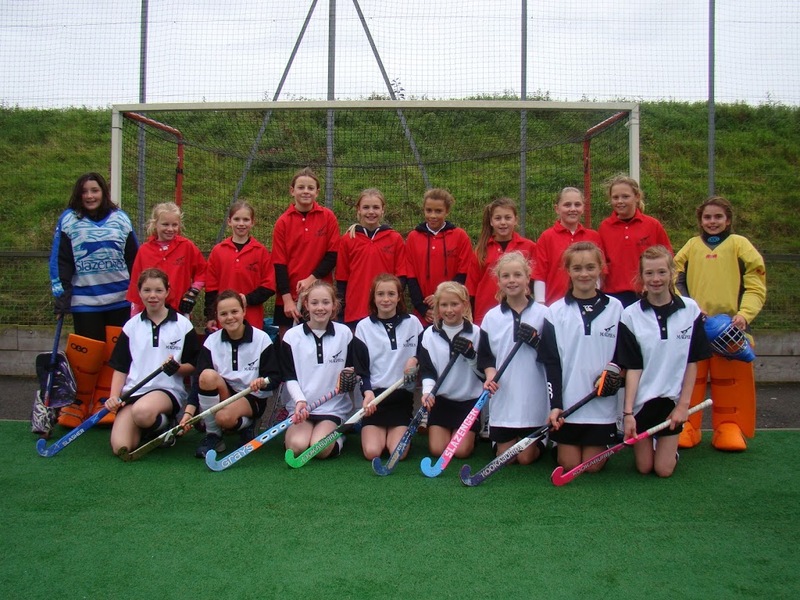 The first game was against Cambridge and it was fairly evenly contested affair, ending in a 0-0 draw. Not much to report other than the team had made a confident start and didn’t look out of place having managed to trouble Cambridge and threaten on a few occasions. Magpies immediately turned round for their second game against St Albans. With confidence gained from their all-round performance against Cambridge, Pies were soon getting on top of a weaker St Albans. After two earlier short corners Captain Ed Brice found his range and converted his third to give the home side a deserved 1-0 half time lead, which could have been more but for the excellent work by the St Albans keeper. In the second half Magpies managed to score a second courtesy of Oli Mayhew breaking away and jinking round the keeper to slot home. Final score 2-0 Magpies. Whilst the lads had left a few more goals out on the pitch the management team of Larkin, Emms and Robertson would have taken 4 points from 2 games before the start of the day, and took the lads confidently into a break between games. Game 3 was another big game against Old Loughtonians and this was much like the opening game against Cambridge. The home side were working hard, keeping good shape with Freddie Herschel-Shorland controlling midfield, Oli Mayhew working up front to cut out the pass, Ed Brice and Elliot Cooper keeping any Old Lought’s breakaways under control in defence. Elliot Chapman in goal was starting to make some great saves, controlling his D and didn’t look like he intended to start conceding any time soon. Magpies were starting to roll on subs, Bruce Daniels playing solidly at the back and Ben Waters making an impact on the right wing by driving into the D. The game finished 0-0 and with 5 points from a possible 9 and no goals conceded Pies went into another break and chance to talk about what was going well. finals. Pies wasted no time and went on the attack from the start, Mayhew soon latching onto a through pass from FH-S and slotting into the corner. IES were given no chance to regroup and good work down the wing from Oli Currie led to Mayhew quickly making the score 2-0. Just before half time Sam Emms joined in picking up on another FH-S pass to dribble round two defenders and round the IES keeper to make it 3-0 at half time. In the second half Matty Nesling quickly made an impact up-front latching onto another FH-S through pass to drive into the D, and thread a nice goal past the IES keeper. The game finished 4-0 and Magpies went into a long break excited by managing to escape their group. Magpies lined up against a confident Blue Hornets team in the semi-final. A tough assignment ahead as Hornets hadn’t lost a game or conceded a goal on their way to amassing a massive plus goal difference in their group. Pies started confidently and were competing well one to one, soon forcing a short corner which alerted Hornets into knowing this would be a contest. However this just served to sting the Hornets into life and they quickly fought back and scored a breakaway goal to make the score 1-0. Pies didn’t buckle and immediately took control from the push back with FH-S, Brice and Emms soon moving the ball to Mayhew who calmly levelled to make the score 1-1 and send the home crowd wild. On the half time bell Hornets won a short corner, which was clinically converted to knock Pies back to 2-1 down at half time. After a rallying team talk Pies began their fight back and after continuous pressure won a short corner. Brice’s strike was saved and after some tortuous rebounds Sam Emms nipped in to ‘nutmeg’ the keeper bringing it level at 2-2 and once again sending the home crowd to another level! Hornets continued to push for a winner but Chapman was not going to be beaten again, leaping high to his left to palm a great effort over the crossbar. Pies pulled together and dug deep to hang on for the final 2 mins to keep the final score 2-2 and take it to the dreaded penalty flicks. Emms bravely stepped up for flick 1, but the GK guessed right and made a good save. Hornets first flick was low in the bottom corner but Chapman almost reached it, 0-1. Captain Brice then stepped up for flick 2 and scored, 1-1. Chapman guessed right for Hornets second flick and kept Pies in it with a great save, still 1-1. Mayhew stepped up for flick 3 and confidently found the corner, Pies 2-1. The pressure was now back on Hornets with their last flick to level it, again Chapman saved, Pies win 2-1, cue crowd and pitch celebrations young and old and into the final! After a break and coming to terms with knowing they had now qualified for the national finals the team took to the pitch for the final which was back against Old Loughtonians. The emotion of the semi had taken its toll and the boys struggled to keep in the game in the first half, conceding a good goal midway through and going into half time 1-0 down. After a positive team talk and knowing they had nothing to lose the team regained possession and territory in the second half. A number of chances being narrowly missed it looked like a runners up spot would be a great reward for an excellent tournament. However after a final push FH-S played Emms into the D who realising he couldn’t score and calmly upgraded to a short corner, and then the final bell went. The whole team pushed up for the last play of the game, Emms injecting smoothly to Brice who one touched into the D and crashed the bottom corner to level at 2-2 and take the game to penalty flicks (again!). Cue massive celebrations and more confident Magpies having faced this in the semi. Chapman was straight into goal to face flick 1 which he quickly saved. Brice stepped up to take flick 2 and calmly dispatched into the corner, Pies 1-0. Lought’s faced Chapman again for flick 3, same result saved! Mayhew now stepped forward for what was only flick 4 and a possible chance of winning the game. His shot went straight at the keeper and somehow through his legs! Magpies 2-0 WIN, cue wild celebrations throughout the club! (Sincere commiserations to Old Loughtonians who played the game in a great spirit and came a narrow second). 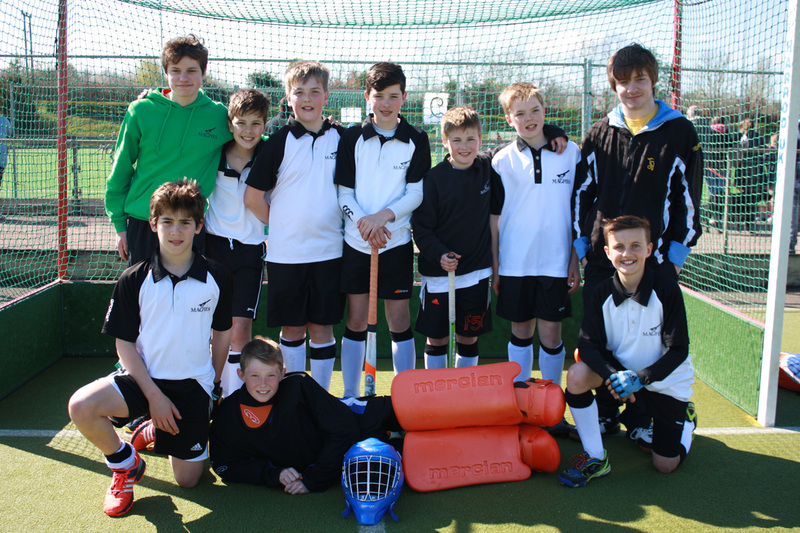 The boys will now go onto the national finals in Nottingham (Beeston HC) on 14th May together with Old Loughtonians to represent the Eastern region. Thanks to many including inspirational coaching today by Larky, encouragement from Jack, Monday night coaching from Matt, Blake, Bardy, Dolly et Al, and all the volunteers at the club who have made this weekend possible by giving up their free time and energy. 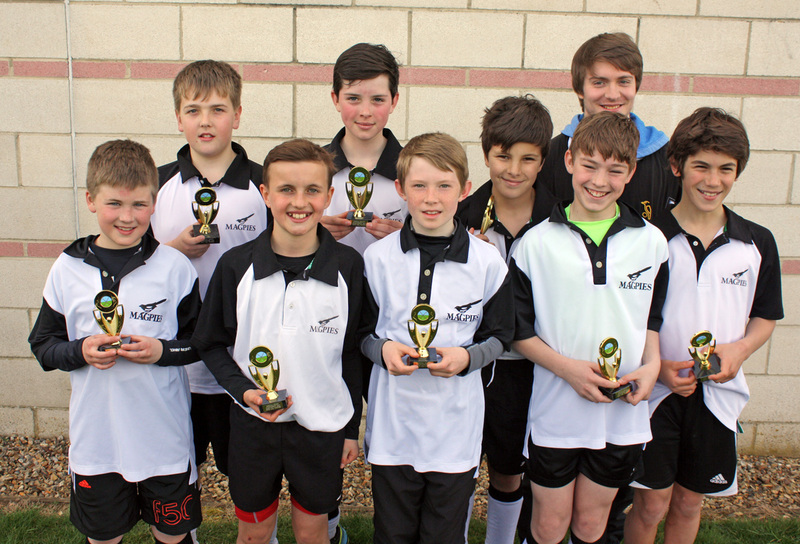 Magpies had progressed to the East Minis tournament as Norfolk champions and were very hopeful of doing enough to qualify for the national finals despite this being the first regional tournament for many of the players. 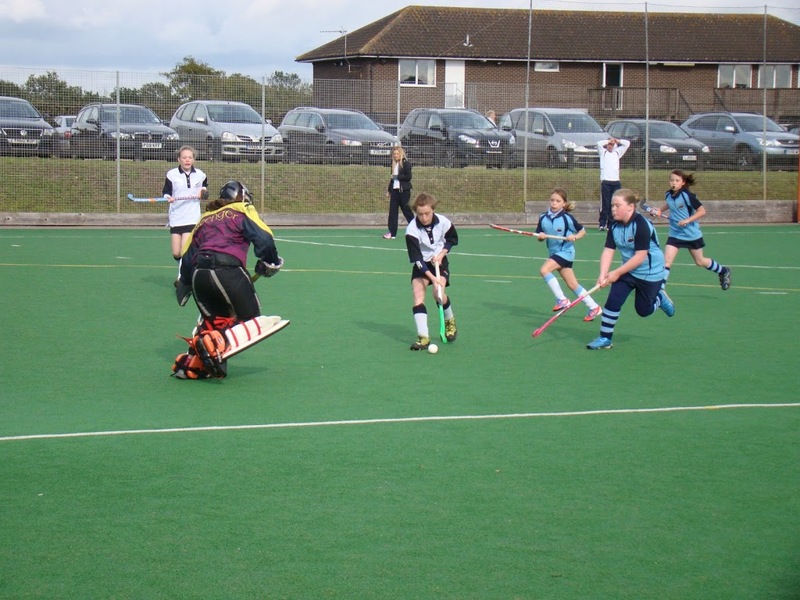 The tournament started very strongly for Magpies as an adrenalin fuelled side faced Blueharts. Showing great energy all over the pitch, it was not long before Magpies took the lead from a powerful Jude Pottruff strike. The momentum was carried through to help score a much needed second goal, and the match was seen out defensively for a 2-0 win and a superb start. 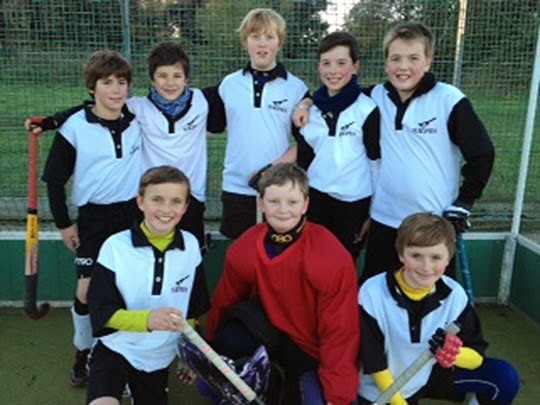 Magpies continued playing with high energy levels in a thrilling second match against Old Loughtonians. Magpies worked very hard to come back from being 1-0 and 2-1 behind to win the match 3-2. The pick of the goals came from great defensive work by Tom Caston, who then followed up his effort with a powerful and accurate length of the pitch pass to set up Jude Pottruff to finish past the opposition keeper, much to the delight of all the players and supporters. After this tense encounter, the Magpies parents were pleased to see two early goals scored against Ipswich and East Suffolk to help ease the tension. After that, Magpies controlled the game well, with Ollie Hall and Ed Brice in defence dealing well with the forward play of the opposition. James Webster continued to make probing runs forward, but no more goals could be scored by either team meaning that the match deservedly finished in favour of Magpies. The final group game saw the two strongest sides in the group face each other- Magpies and Cambridge City. Cambridge City started strongly, imposing themselves on the game early on, but the Magpies defence held firm, with Elliott Chapman in goal giving another standout performance. Magpies managed to score in the first half with a well taken goal, but this only encouraged Cambridge to commit more players forward and apply even more pressure. However, despite conceding multiple short corners, the Magpies defence limited the number of open play chances and more solid goalkeeping kept the final score at 1-0 to Magpies. 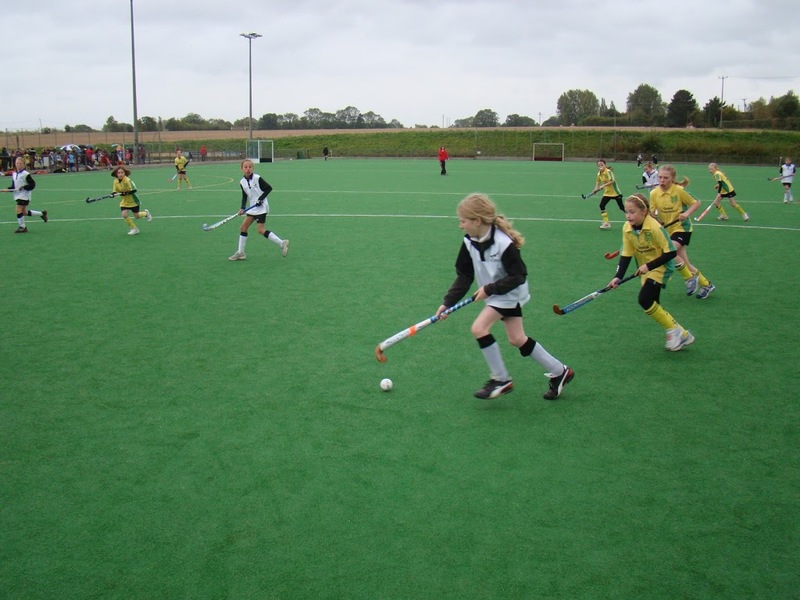 Magpies had progressed as group winners into the fourth hour of the tournament to play Saffron Walden in the semi finals, which would see the winners also secure qualification to the national finals. Magpies had the first chance of the match but failed to convert as the ball flashed across goal. Saffron Walden then took their opportunity and went 1-0 up. This goal appeared to shake Magpies slightly, and Saffron Walden pushed on to score a second. Magpies weathered the rest of the storm, with Elliott Chapman again keeping the team in the match with some great saves. Magpies came back into the game in the second half but after a long tournament didn’t quite have the extra energy need to convert their forward play into goals. This meant that Magpies lost 2-0 and went into the 3rd place play-off. 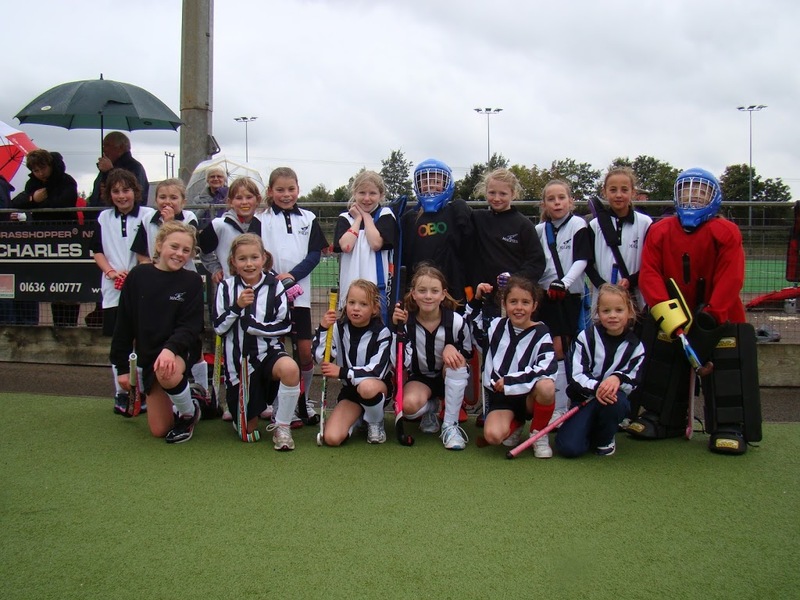 After the disappointment of losing out on the chance of playing in the national finals, Magpies showed great character to recompose themselves for the play-off match. A fairly even game against Bury St Edmunds finished 1-1 at full time meaning that penalty strokes would decide the winner. A good save from each goalkeeper and a high, powerful flick from James Webster meant that the scores were 1-1 going into the third and final pair of penalties. Captain Ollie Hall stepped forward and calmly sent the goalkeeper the wrong way with a deceptive flick into the right sideboard, this meant that when Elliott Chapman fittingly saved the Bury St Edmunds final effort, Magpies came away as 2-1 winners to secure 3rd place in the tournament. 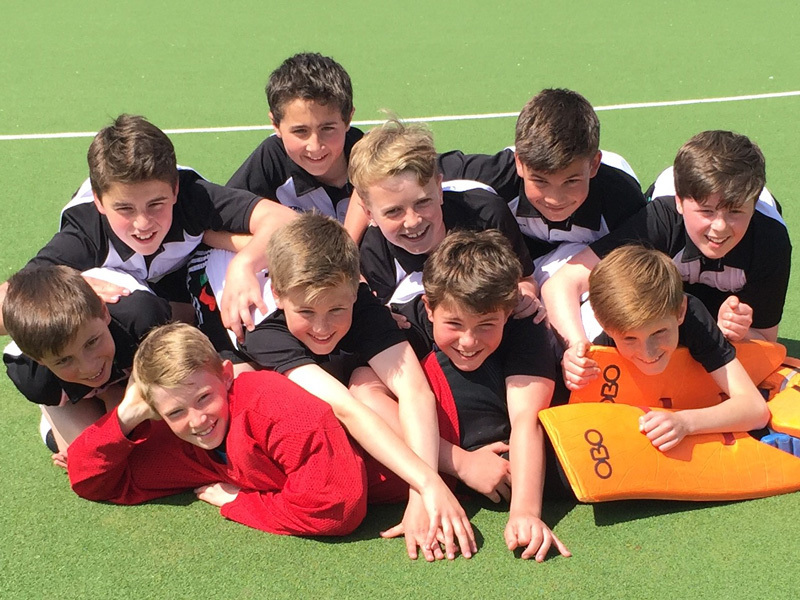 The U12 boys team this season has proved themselves to be a very talented and competitive side and can take a lot of encouragement about how hard they worked and how well they played in this tournament. Hopefully the experience of playing at regional level will have taught the team a lot about the highs and lows of tournament hockey and that they will use this as a springboard for even greater success in the future. 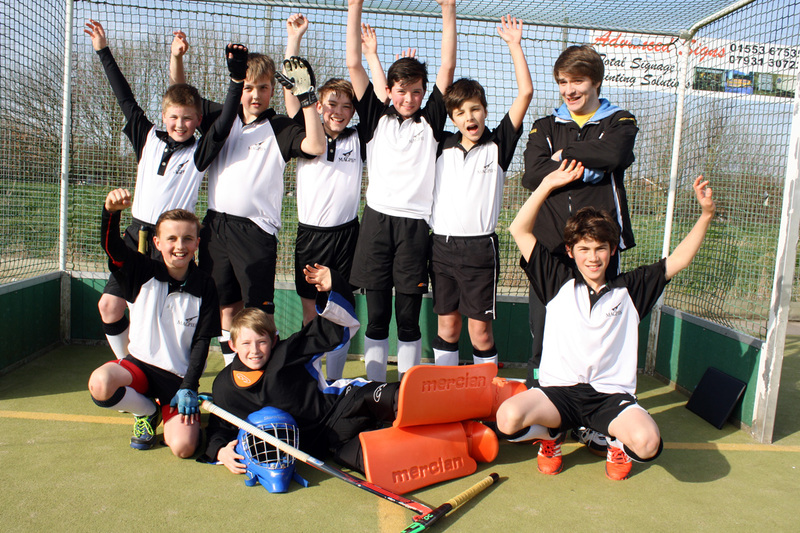 Photos of the boys U12s team winners today at the Norfolk county finals at Kings Lynn. 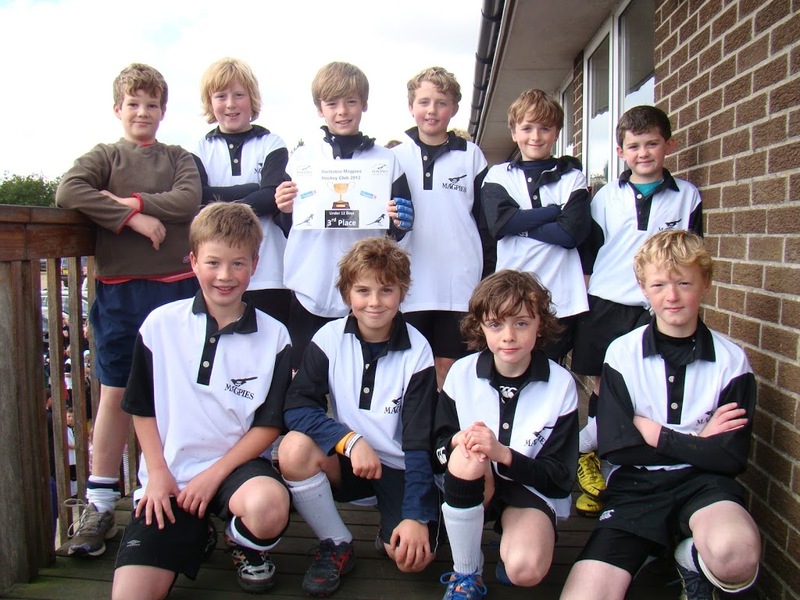 Magpies Under 12s pictured after their 5-0 win in the final of the East Championships. 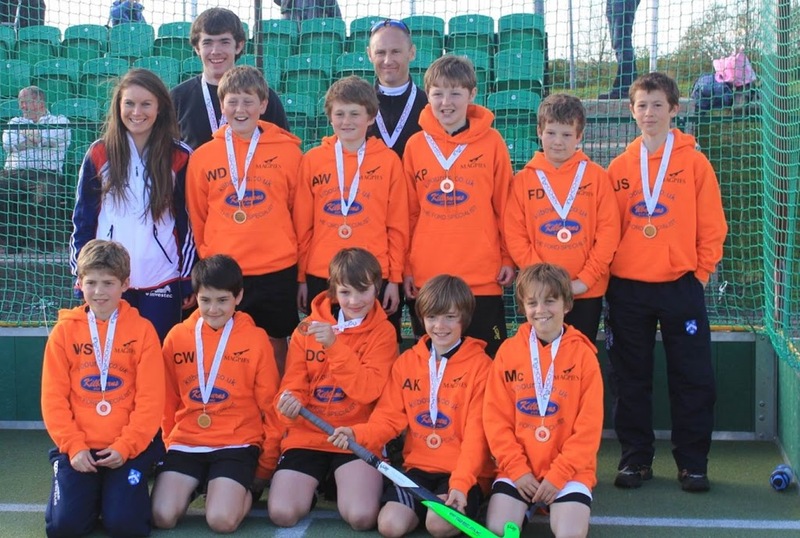 They will now play in the National Finals on May 12th. 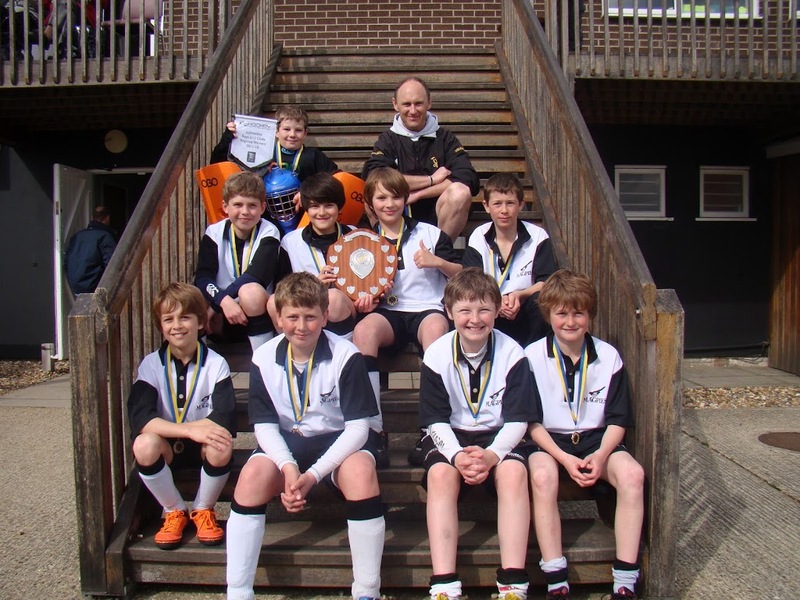 Harleston Magpies fielded two U12 teams at the Norwich City tournament coming 2nd and 4th. Magpies B pushed most teams hard but failed to capitalise on lots of possession in the early games and maybe didn’t get as many wins as their performances warranted. They did manage two wins against Pelicans B 3-0 and Dragons 2-0. However, they pushed eventual winners Pelicans A all the way only losing to 2 very late goals having defended really well throughput the match. Magpies A started confidently winning their first three games comfortably before being held to a 0-0 draw by the B team! 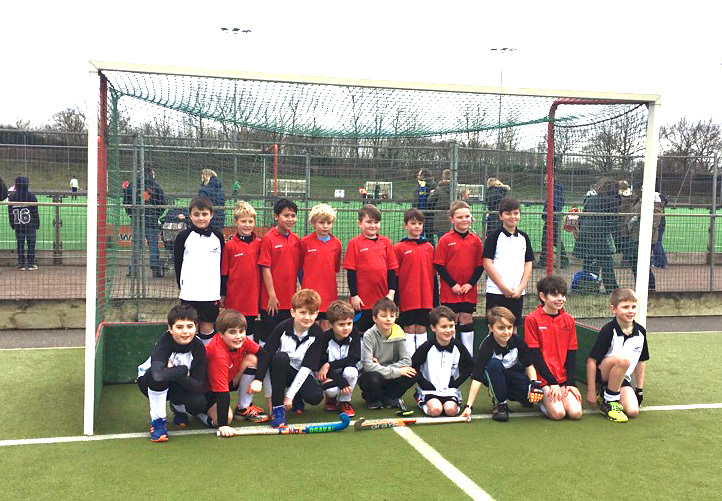 The match of the day was against Pelican A’s and Magpies, despite not playing their best hockey, were unlucky to have a goal disallowed. With time running out they conceded their only goal of the tournament to go 1-0 down. Magpies continued to push but couldn’t find an equaliser. They quickly put the disappointment of this result behind them to win the remaining three games scoring 17 without conceding! 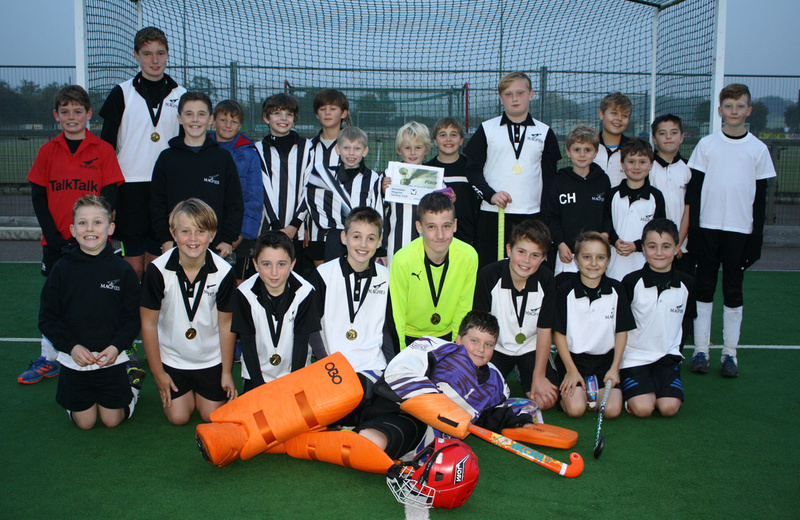 Magpies man of the tournament was Freddie Dixon, the B team goalkeeper, who made a number of great saves throughout the day having already played for the U10’s.